Maine Sports Media: Maine Black Bears v Boston University Terriers LIVE BLOG! 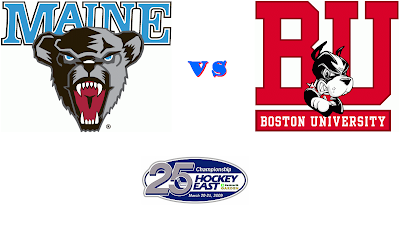 Maine Black Bears v Boston University Terriers LIVE BLOG! Join us LIVE from Agganis Arena in Boston as the Maine Black Bears take on the Boston University Terriers in Hockey East Playoff Game 2.